A growing number of employers in the U.S. are offering family-friendly benefits such as fertility services, paid leave and flexible scheduling to accommodate employees in today’s competitive labor market, according to a report from the International Foundation of Employee Benefit Plans. 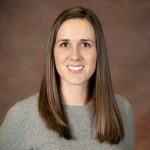 Employee Benefits Survey examines the family-friendly benefits employers are offering and finds that many of the perks have grown in prevalence over the last two years. Nearly one-third (31%) of employers with 500 or more employees offer some sort of fertility benefit—up from 24% in 2016. Employers most commonly cover in vitro fertilization (IVF) treatments (23%), fertility medications (18%), genetic testing to determine infertility issues (15%), non-IVF fertility treatments (13%), visits with counselors (9%), and egg harvesting or freezing services (7%). Smaller employers are less likely to provide fertility benefits but, just like large organizations, the numbers are increasing. Of employers with 50 or fewer employees, 10% offer some sort of fertility benefits—up from 4% in 2016. Among employers of all sizes—from fewer than 50 to more than 10,000 employees—41% offer paid maternity leave (up from 37% in 2016), and 32% offer paid paternity leave (up from 24% in 2016). Twenty-one percent offer paid adoption leave. Just over half (51%) of employers offer flexible work hours or compressed work weeks. And one in ten (9%) offers job sharing, where two or more employees share one full-time job. 529 plans – 15% (up from 10% in 2016). Special needs child care – 1%. Looking for More Bench-Marking Data? International Foundation survey reports provide helpful bench-marking data on all types of employee benefits. 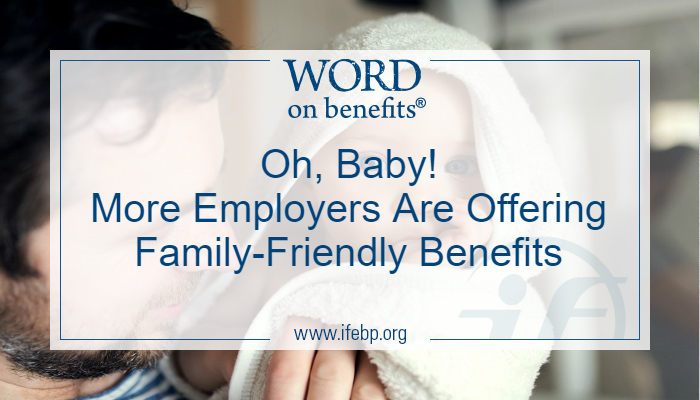 Learn more about the prevalence of family-friendly benefits in the report Employee Benefits Survey.